Energy Answers, the New York based company planning to build the nation’s largest trash burning incinerator less than a mile away from schools in Curtis Bay, is proposing to build the facility with an expired permit, in violation of the federal Clean Air Act. We are calling upon the Maryland Department of the Environment to enforce the law and hold Energy Answers accountable. Under Energy Answers’ Certificate of Public Convenience and Necessity (CPCN) and the federal Clean Air Act, a permit for the construction of a major source of air pollution, like the Energy Answers incinerator, expires if construction is substantially discontinued for a period of 18 months or more after it has commenced. As of June 3, 2015, the date of MDE’s most recent site inspection, Energy Answers had substantially discontinued construction for over 19 months, and no additional construction appears to have been performed since then. Therefore, the air quality provisions of the CPCN, which represent Energy Answers’ Clean Air Act approval to construct the incinerator, have expired. Energy Answers must be held accountable for its actions and must face the clear and unambiguous consequences of its failure to meet the construction requirements of its CPCN and the Clean Air Act: expiration of its approval to construct the facility. We urge MDE to issue a written determination that the air quality provisions of MDE’s CPCN have expired. Without action, the failed incinerator development will continue to hold us back from Fair Development alternatives. We are calling for the 80+ acre site to house a community driven solar project to create truly green energy and help build wealth for community members. We are also exploring recycling and composting projects that deal with waste responsibly and create good jobs without harming our health or environment. We want Curtis Bay to be a model for Fair Development and to help Baltimore move towards becoming a just and sustainable city. 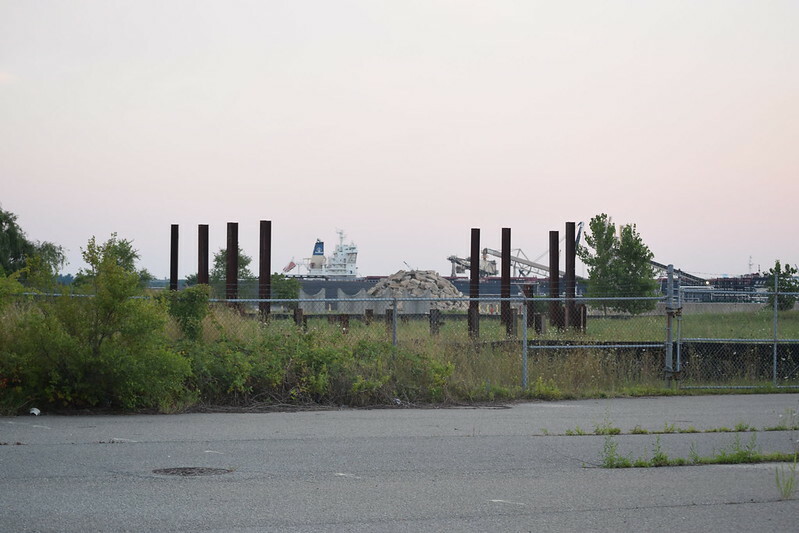 Don't allow Curtis Bay to continue to be used as a dumping ground for Failed Development: issue a written determination that the air quality provisions of MDE's CPCN have expired. For more information on our call for MDE to enforce the law and hold Energy Answers accountable please read this letter and supporting attachments signed by 19 community, faith, work with dignity, human rights and environmental groups. I would like to say I really, really appreciate how you all have decided to take a stand. My family and I have been living in Curtis Bay for twenty-seven years now. I am thirty-two years of age. I had went to the schools and have grew up in this neighborhood. I am suffering from asthma. I have been suffering from this ailment every since I was eleven. The air quality is not good. I am glad that there are a few folks who really, really care. I am behind you all. How can I help? God bless. We need a Leap Manifesto for the U.S.!